Come join the fun, as we make place name table holders out of wrapping paper, sticks, and Hershey kisses (up to six). 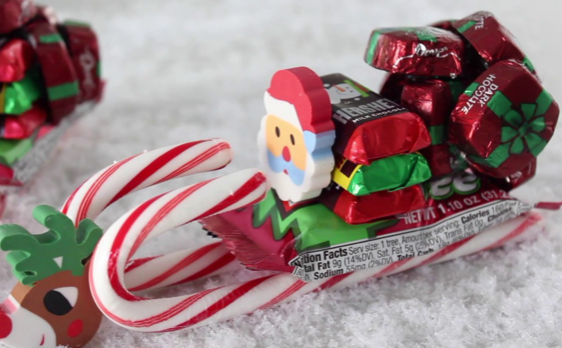 For the treat will be making Santa’s Sleigh out of candy canes, cookies and candy. Warmed chocolate milk and cookies will be served.